← Actual Temple Location found? 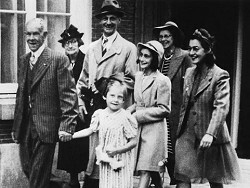 NEW YORK: Anne Frank’s father sent desperate letters to friends and family in the United States pleading for financial assistance to help the family escape from the Nazi-occupied Netherlands, according to papers made public Wednesday. Posted on February 16, 2007, in Holocaust. Bookmark the permalink. 1 Comment.